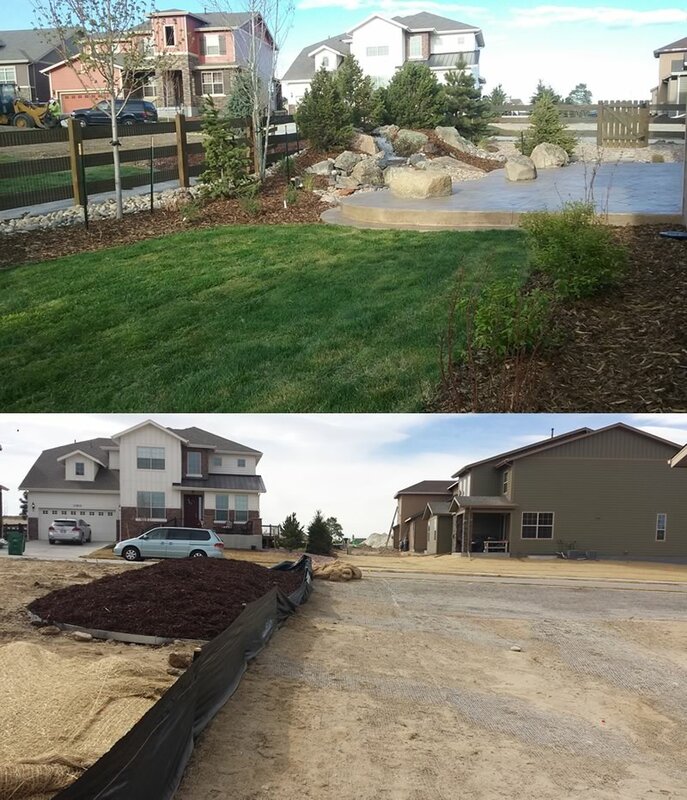 This customer was a return customer and we have landscaped a couple new homes for her family. She had decided to downsize but wanted to keep the lush landscape that she has had in previous homes. 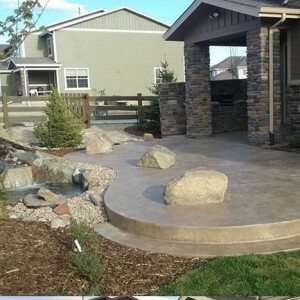 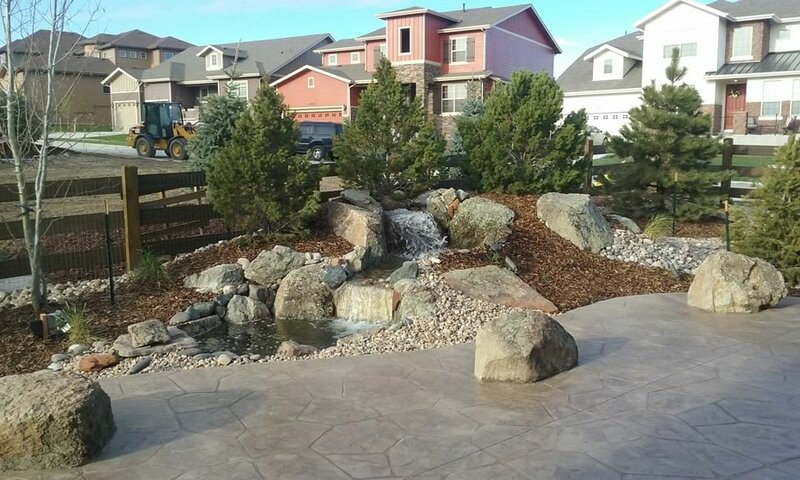 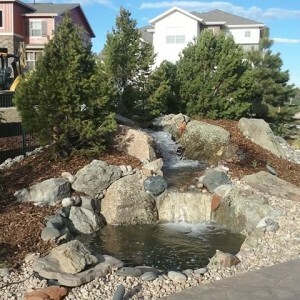 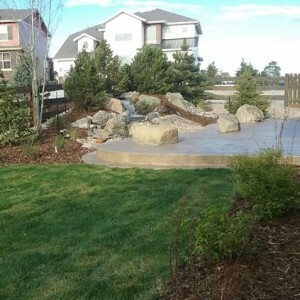 We created several features in her yard that showcase all aspects of our company, however, the water feature we installed is the most note-able. 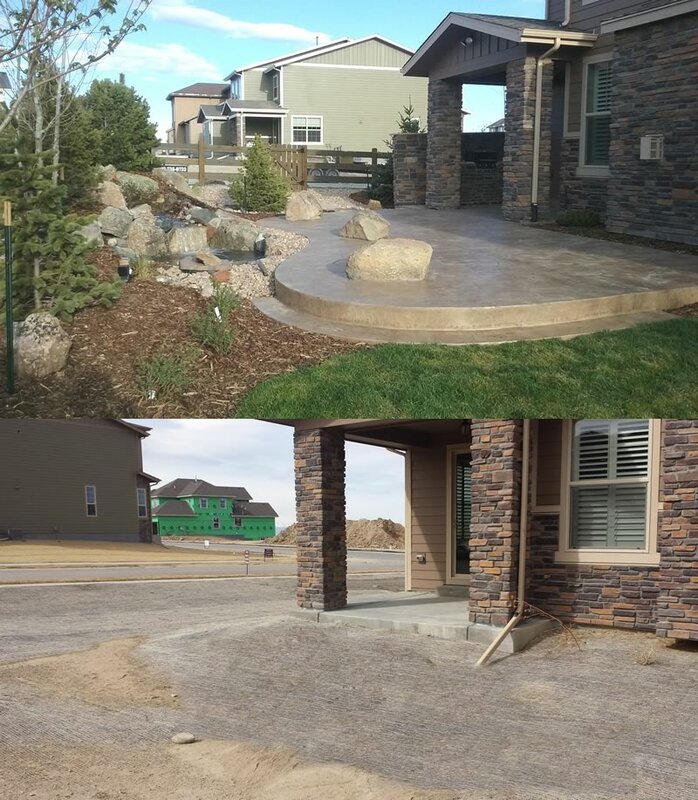 The water feature is used to not only create visual interest from the extensive stamped concrete patio but also to silence the street noise of this corner lot. 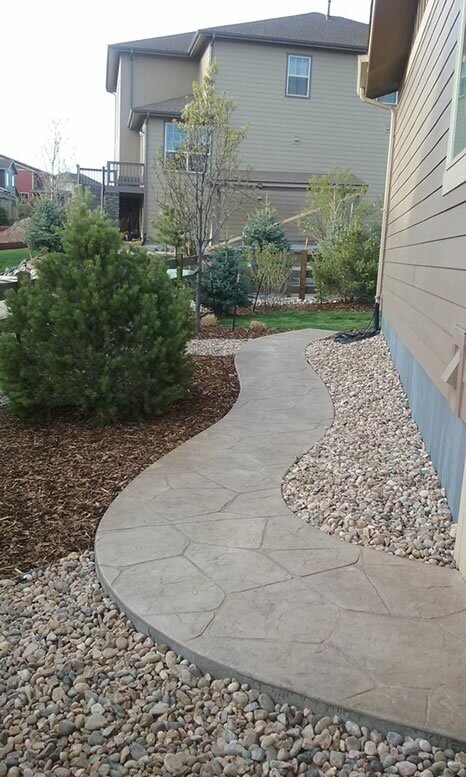 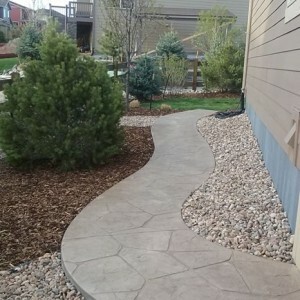 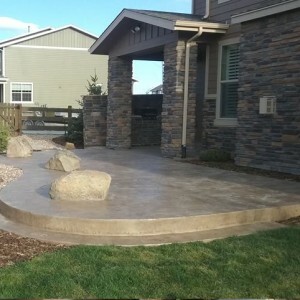 The stamped concrete patio extends all the way to the base of the water feature. Within the patio we built a built-in BBQ grill with a backsplash to create the much needed privacy from the road. 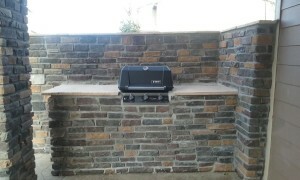 We then softened the edges of the built wall with several trees behind the built in BBQ. 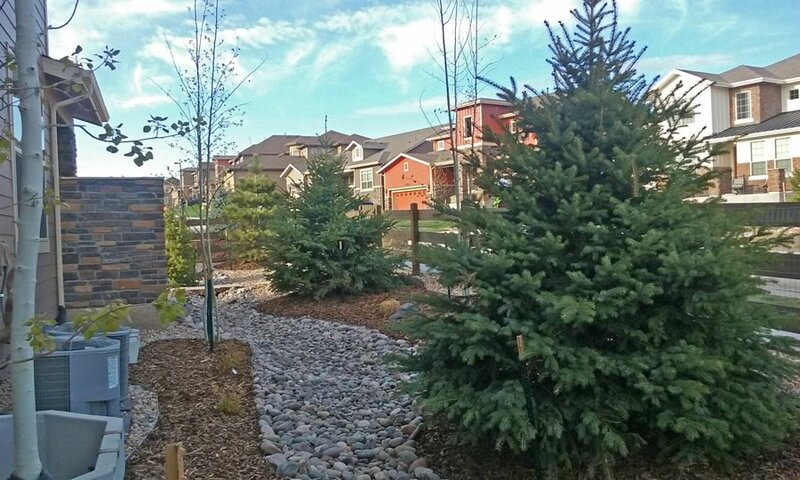 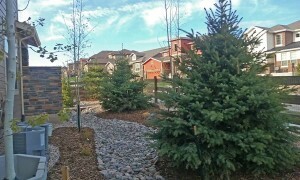 New plantings and trees will create multiple seasons of interest, privacy and also complements the house facade. 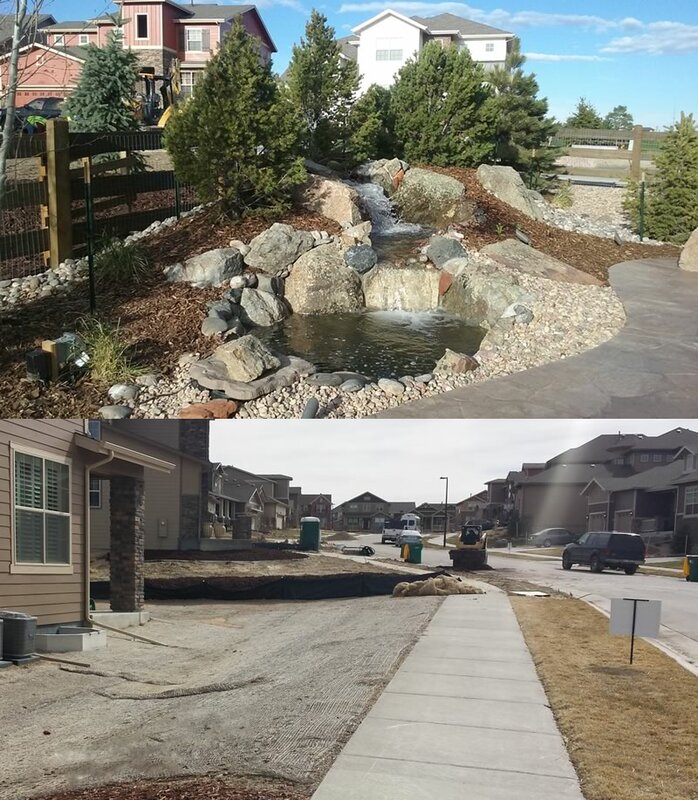 This is an excellent example of all the landscape services we offer and the typical projects we install. 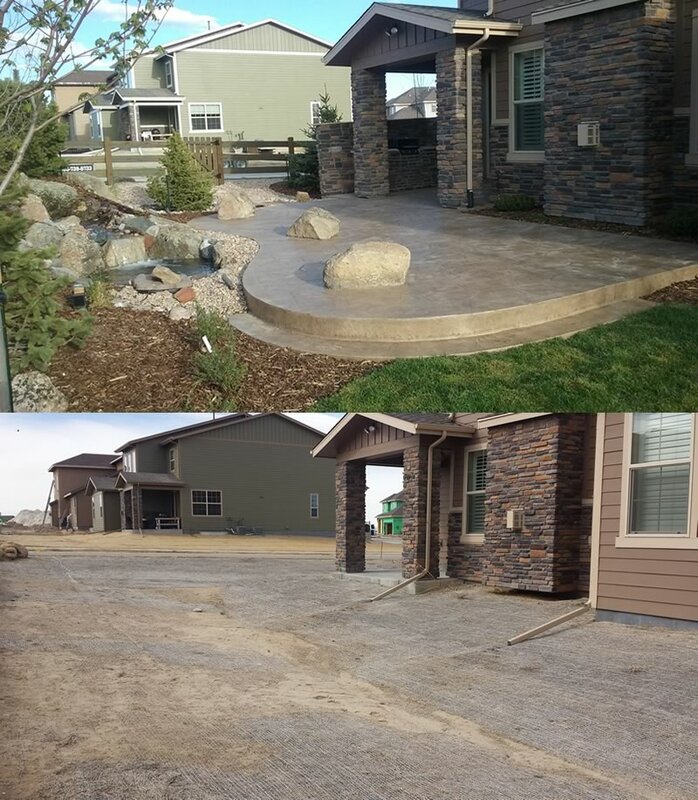 CLICK ON THE PICTURES BELOW TO ENLARGE and to view photos of this project.